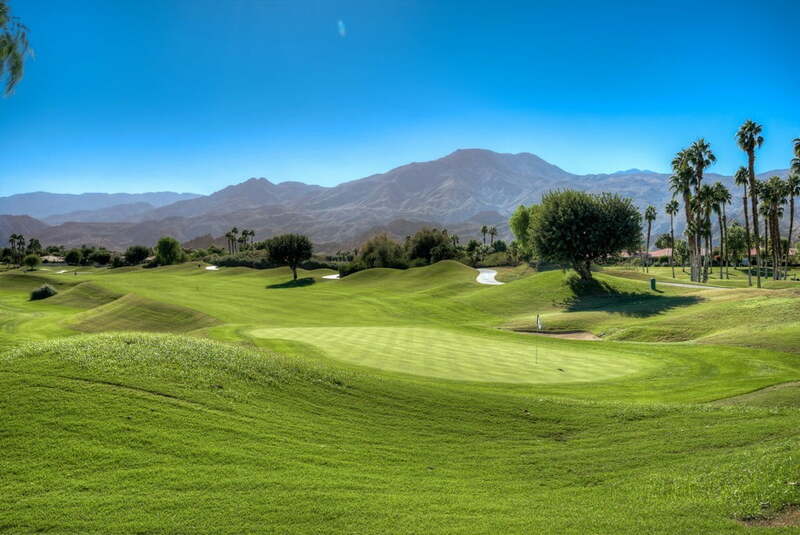 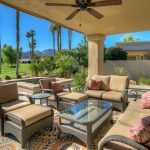 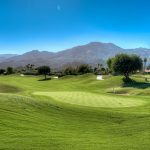 Fantastic Panoramic South-West Double Fairway views of the Nicklaus Tournament Course and Majestic Santa Rosa Mountains – one of the finest views in PGA West. 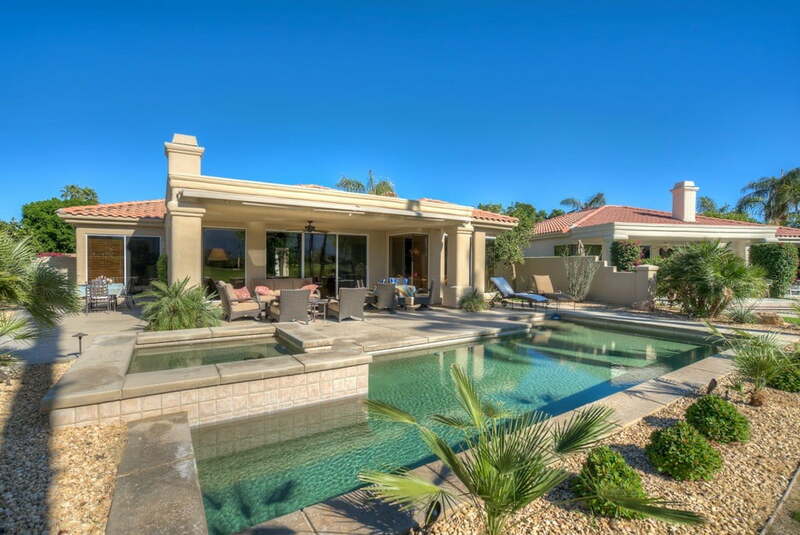 This stunning Ryder 3, 2,450 sq.ft. 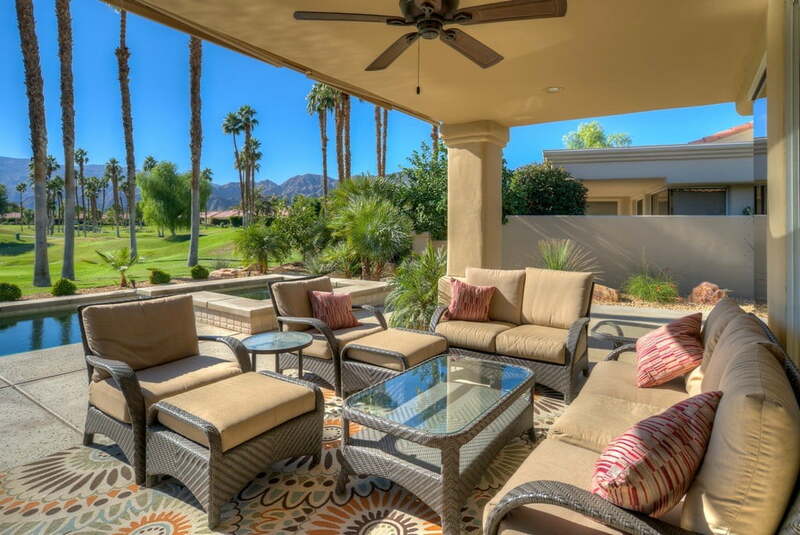 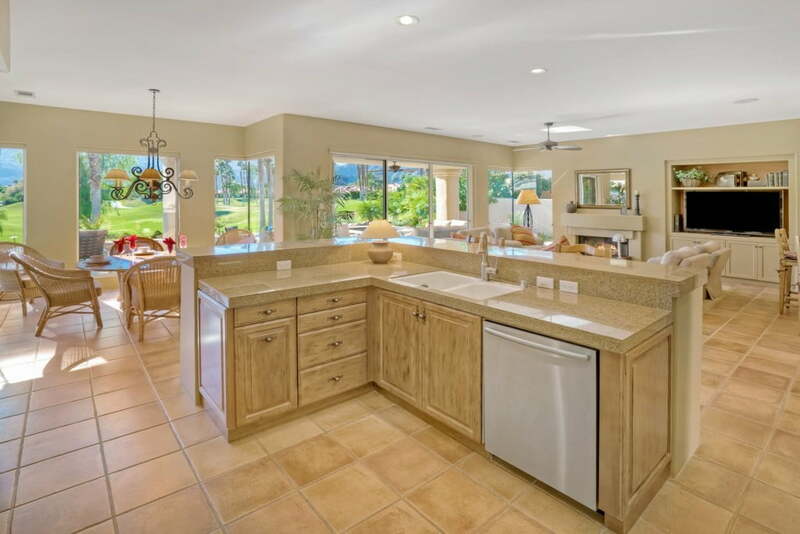 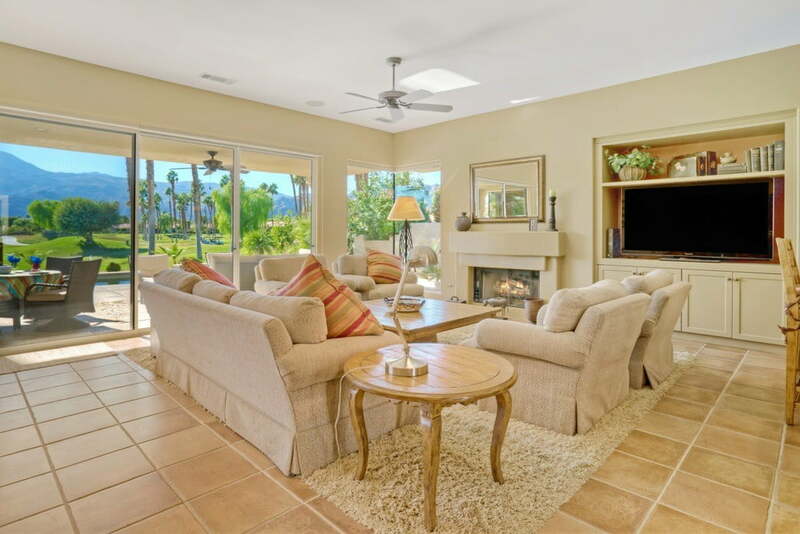 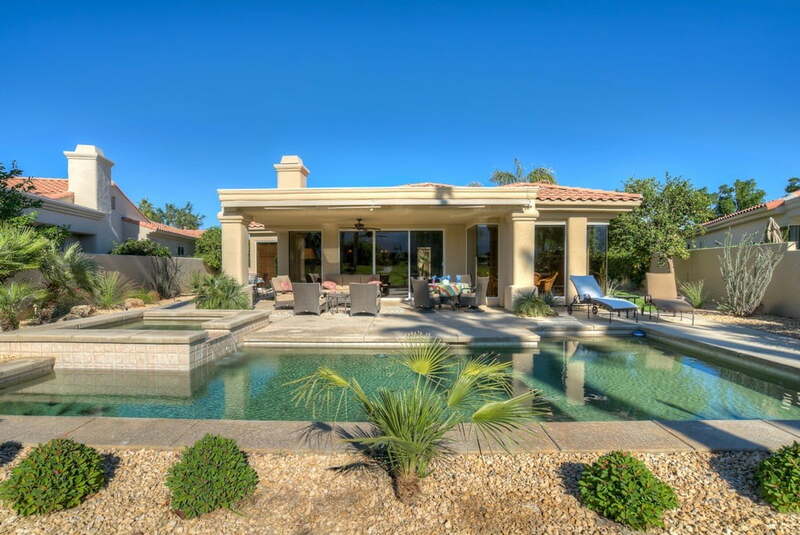 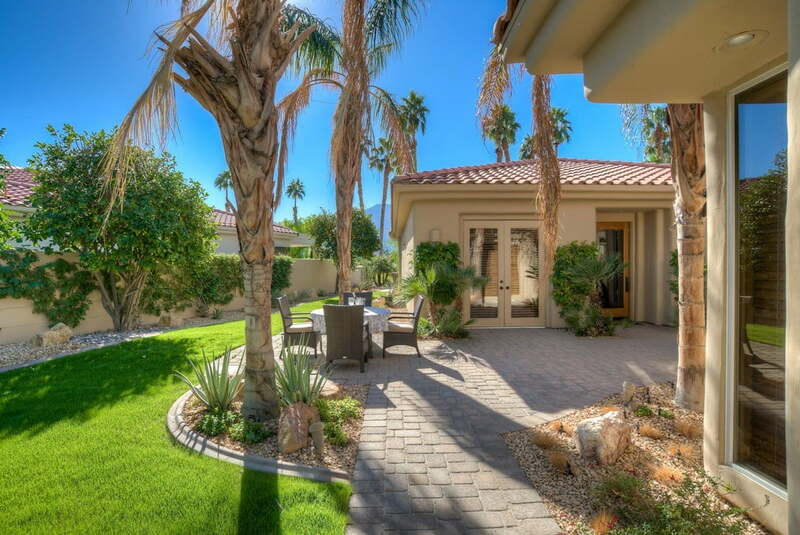 is beautifully landscaped on a large lot of 10,454 sq.ft. 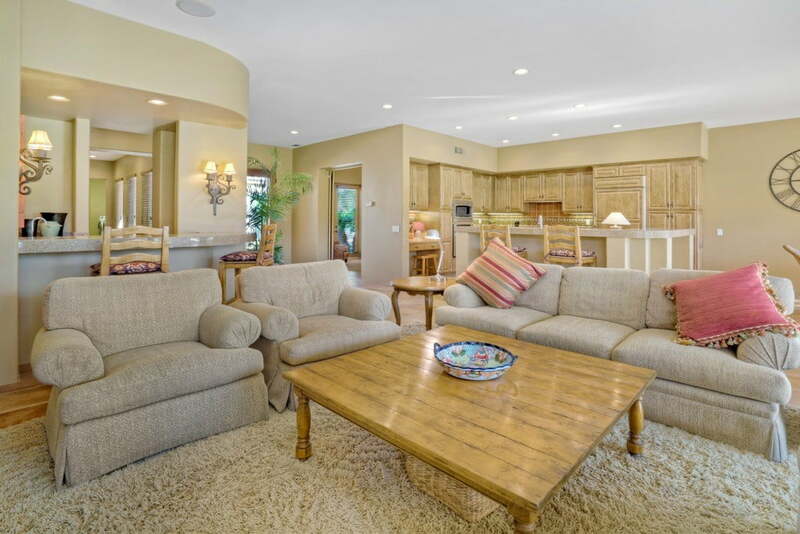 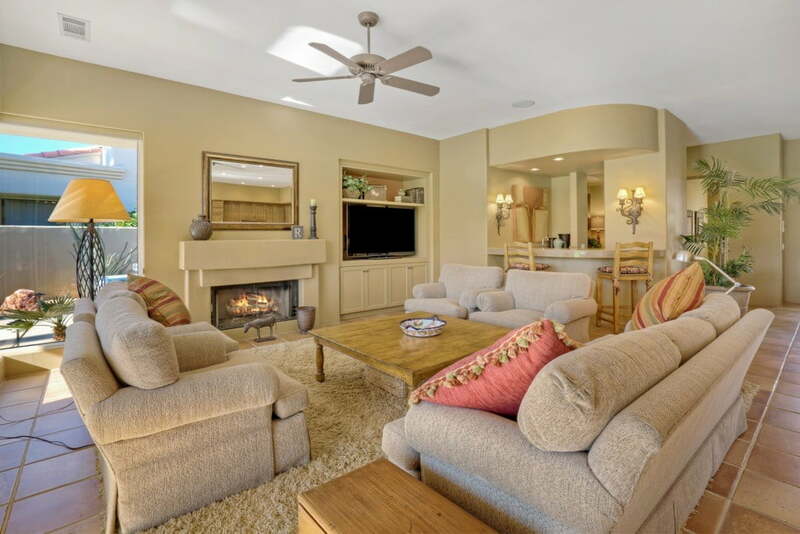 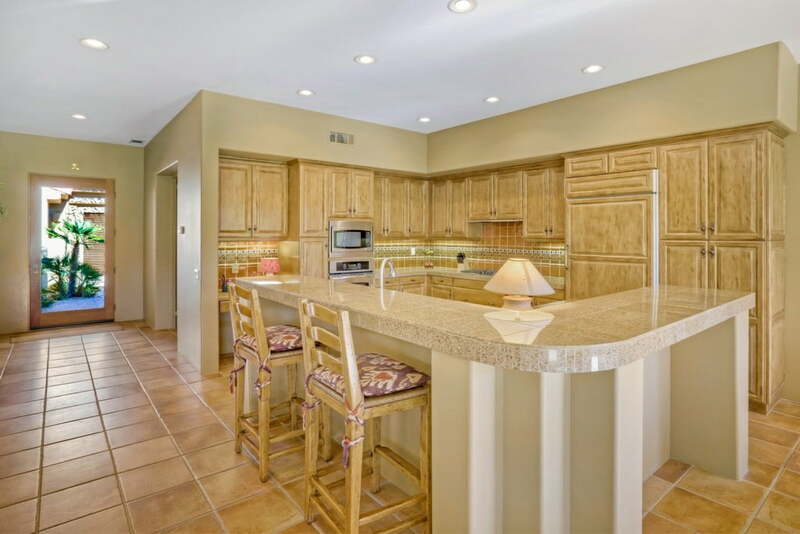 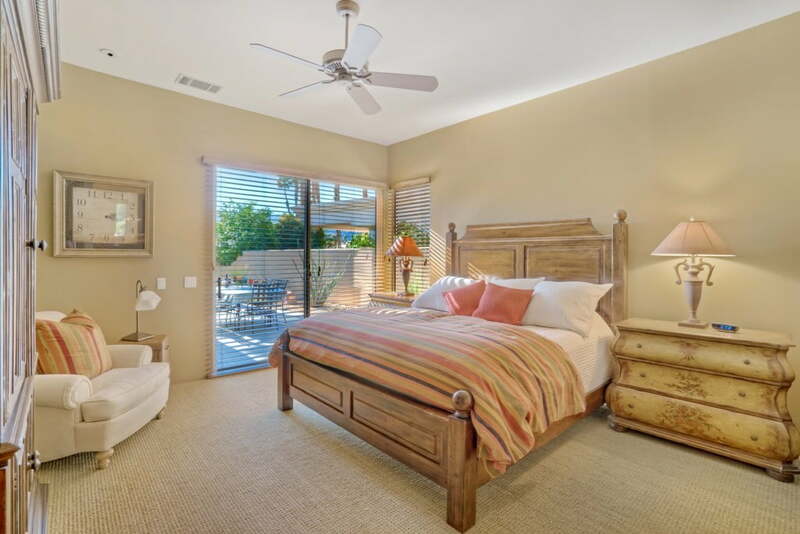 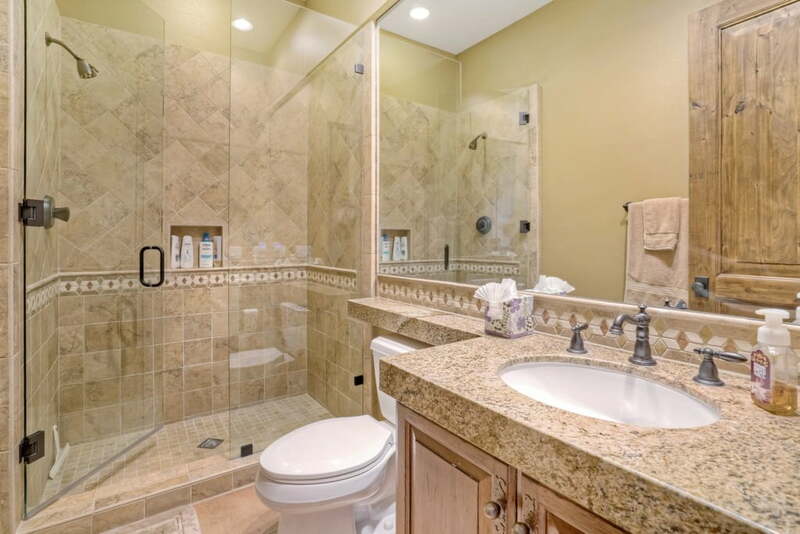 3 BD/3.5 BA, Den and detached Casita. 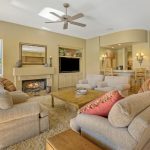 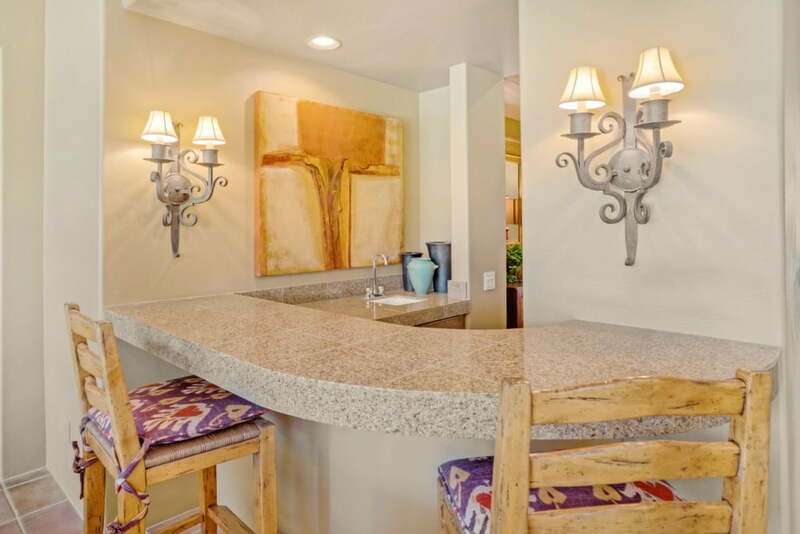 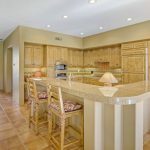 The Gourmet Kitchen has refinished cabinets, granite counters, hand-painted tiled backsplash and S/S Appliances which opens to the Great Room, complete with cozy Fireplace, 60in. 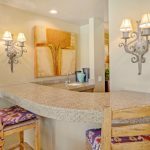 Panasonic TV and Wet Bar. 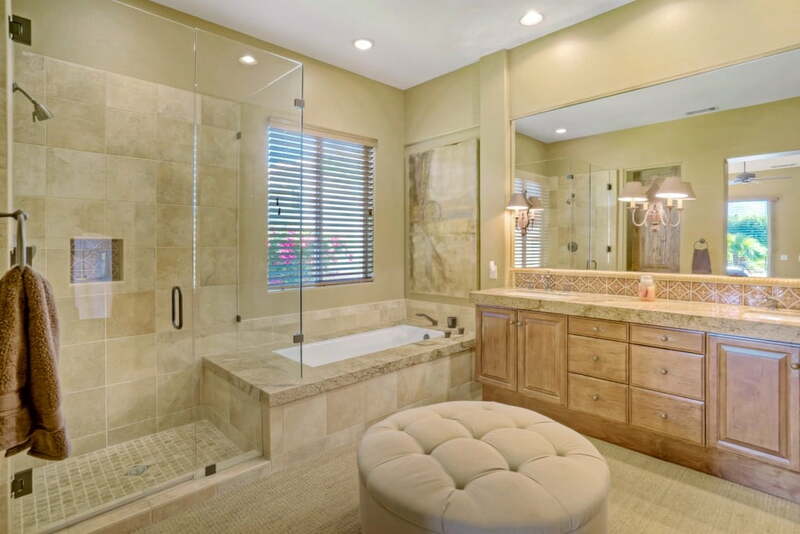 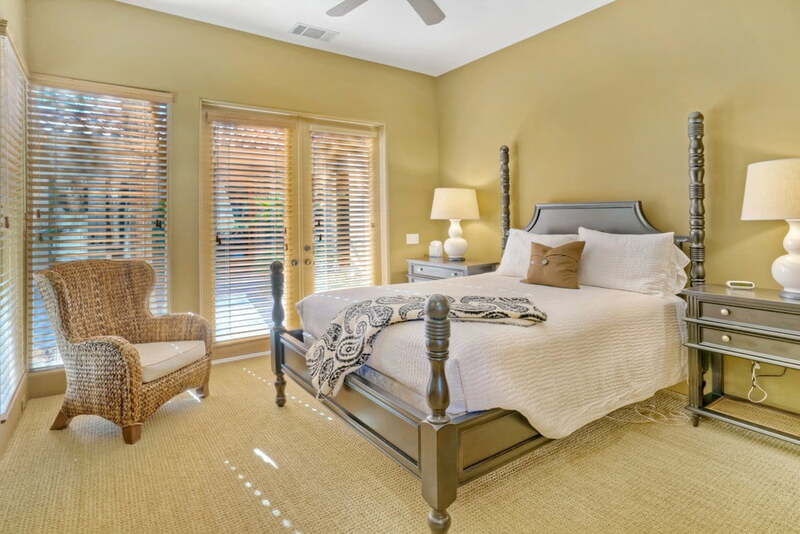 This is Old California living at its finest and upgrades by R. David Griffith Interiors include tile flooring, custom paint and window coverings as well as superb wood doors and cabinets in the master closet. 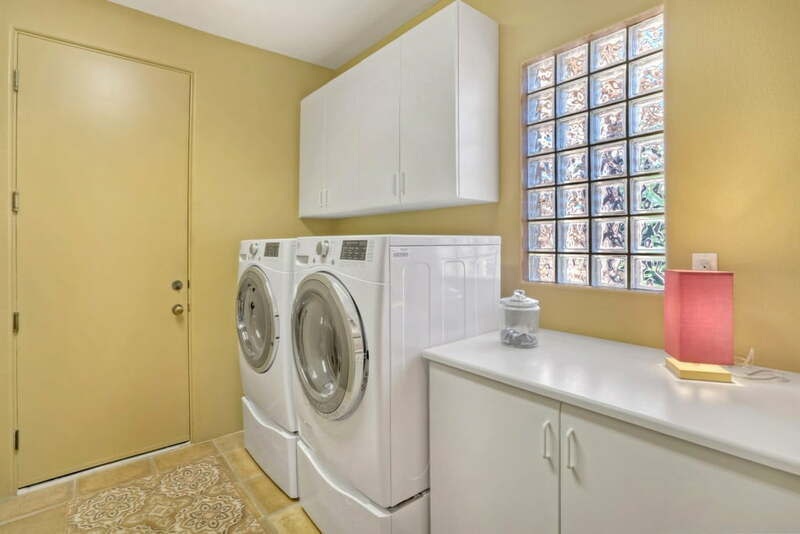 The garage has epoxy flooring, built-in cabinets and is air-conditioned. 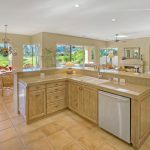 To complete this amazing home there is a beautiful Pebble-Tec Pool and Spa for your relaxing enjoyment and electric awnings to shade you from the sun. 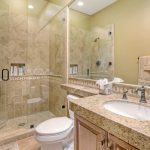 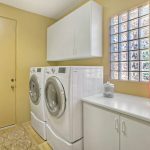 This home really does have it all – A MUST SEE!! !